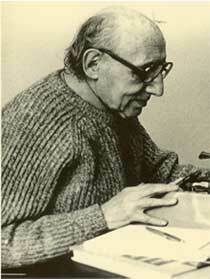 Only late in his long life did Norbert Elias (1897–1990) achieve intellectual celebrity, but since his death he has been recognised as one of the greatest sociologists of the twentieth century. He is most famous for his theory of civilising processes, but his ambitious vision for the scope of the social sciences extended to the whole development of human society from its earliest origins, including the long-term growth of knowledge and the sciences. His writings extend to such diverse topics as violence, sport, ageing and dying, time, work, art, poetry, utopias and the relations between the sexes. He likened networks of interdependent human beings - 'figurations' as he called them - to a dance: in constant flux yet structured. His approach has come to be known as ‘figurational sociology’, or more generally – because its appeal is far wider than professional sociologists alone – figurational studies. The Norbert Elias Foundation was established in 1983 on the initiative of Norbert Elias himself, its aim being to stimulate research in the social sciences, especially in light of his own broad vision for them. When Elias died on 1 August 1990, the Foundation was his sole legatee, thereby inheriting the copyrights on his published works and unpublished manuscripts. Until the end of 2016, the members of the Board of the Foundation were Johan Goudsblom, Hermann Korte and Stephen Mennell. They decided that the time had come to pass on the torch to a new generation, and with effect from 1 January 2017, they were succeeded by a new Board consisting of Johan Heilbron, Jason Hughes and Adrian Jitschin. The Collected Works of Norbert Elias in English have been published on behalf of the Foundation by UCD Press; the first volumes appeared in 2006 and the project was completed with the publication of the eighteenth volume in 2014. Suhrkamp Verlag completed the publication of the German equivalent, the Gesammelte Schriften, in 2010. Many of Elias's books and essays have also been translated into numerous languages throughout the world. The Foundation supports and promotes the now-worldwide interdisciplinary Figurational Research Network, publishes the twice yearly research newsletter Figurations, organises conferences, awards stipends for research on Elias's papers in the Deutsches Literaturarchiv (DLA) in Marbach am Neckar. Since 2012 the Foundation has also sponsored the new online journal Human Figurations, devoted to the study of 'long-term perspectives on the human condition'. The journal is edited by Dr Katie Liston (University of Ulster) and published by MPublishing, the publishing arm of the University of Michigan. For further details, and to submit articles, click here.